Sunset over prairie in Frenchman River Valley at Val Marie PFRA community pasture, Saskatchewan. 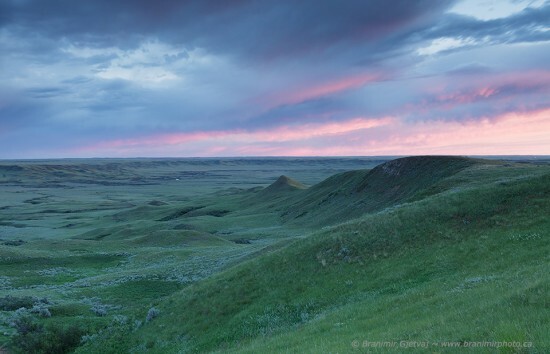 Val Marie PFRA is the largest community pasture in Saskatchewan, containing over 41,256 hectares (101,946 acres) of magnificent native prairie. Frenchman River flows through the pasture, with rugged valley slopes adding to it’s photographic appeal.